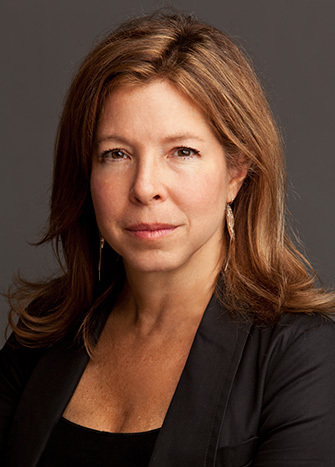 Since 2015, Anne Pasternak has served as the Shelby White and Leon Levy Director of the Brooklyn Museum, one of the oldest and largest fine arts institutions in the nation. For more than thirty years, Anne has devoted her career to engaging broad audiences with the limitless power of art to move, motivate, and inspire. As a staunch advocate for the civic and democratic roles our cultural and educational institutions can play, she is committed to projects that demonstrate the crucial links between art and social justice. During her time at the Brooklyn Museum, Anne has focused on strengthening the Museum as a center for the visual arts that is courageous, pioneering, and inspirational. With her demonstrated imagination and skill, she envisions new ways to connect the Brooklyn Museum’s historical collections with contemporary ideas and practices, such as experimenting with how to make the permanent collection and gallery spaces into more dynamic experiences. Through her leadership, Anne has also expanded the Museum’s educational and public program offerings, and she has fostered remarkable special exhibitions, including The Legacy of Lynching: Confronting Racial Terror in America and We Wanted a Revolution: Black Radical Women, 1965–85. These initiatives are building the foundations for the Brooklyn Museum’s new Strategic Plan, to further the Museum’s mission to create inspiring encounters with art and engage the community around the issues of today. Prior to joining the Brooklyn Museum, Anne served as the director of Creative Time, where she initiated projects that gave artists opportunities to respond to political and environmental challenges, while also expanding their practice and work globally. During her tenure, the organization collaborated with hundreds of artists, including Nick Cave, Paul Chan, Jenny Holzer, and Kara Walker, commissioning and presenting works that ranged from sculptural installations in Grand Central Station’s Vanderbilt Hall to skywriting over Manhattan, as well as Tribute in Light, the twin beacons of light that illuminated the sky above the former World Trade Center site, and continue to be presented on the anniversaries of 9/11.